Gambia, the smallest country in Africa, sits like a sliver in Senegal's side. A very lush, lively sliver. 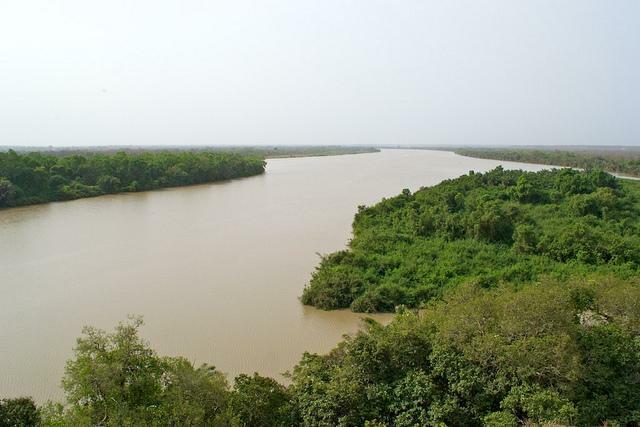 Gambia extends on either side of the Gambia river and the country is not much bigger than the valley carved out by the flowing river. Originally a British colony, the fortunes of Gambia have followed those of Senegal, which means that things are looking up in Gambia overall. Start with Gambia Travel Facts. Banjul, Gambia's capital city, is one of the country's top attractions, and its location on the tributary of the Gambia river has it situated in one of the most fertile and beautiful areas of the whole country. The city has a somewhat antique feel with 50's era architecture that is consistent with the rest of the country. For a much more exciting trip, look into Bakau Kachikally crocodile pools. There are three similar crocodile pools around Gambia that were used as sites for fertility rituals. About 80 of these giant prehistoric killers live in the pool, the most famous of which, Charlie, was apparently approachable and touchable. Read: Beyond the Lonely Planet: Gambia. As Gambia becomes more popular as a tourist destination, tour operators are beginning to offer more full-package trips including airfare and hotels. At the moment flights to Gambia are available from Europe, although airfare may be cheaper going through Senegal. Hotels in Banjul accommodate tourists, travelers, hunters and fishermen. The rest of the country is less populated with lodging, although tourists are common in Gambia and you may be able to find someone willing to put you up for the night if you're in a bind. Hostels are also available in Banjul although you might have better luck at a guest house.